The birth of DEVILGROTH begins long before the acquaintance of its members with each other. The concept of the band was instinctively conceived by three persons many years before the formation. It�s a story of those who get into �dark� music, get lost in black metal. The band was formed between 2008-2009 in the capital of Siberia � Novosibirsk by Ruslan Akimov (Aarsland) and Aleksey Prolygin (Celestial). The name �Devilgroth� was brought by the vocalist Evgeniy �Slade� Sevostyanov, who joined the band in 2010, along with the lyrics written within the walls of �Orlovka� mental health facility (Voronezh) where he had spent 2 months undergoing treatment from a strange �summer insomnia�. Originally the band had been a personal project not intended for public. There had been no Cds or internet releases. It was the initiative of close friends to upload the songs on the Internet, which resulted in establishment of a fan base. From that point DEVILGROTH changed its non-public policy in deference to its fans. In spring of 2011 the band played its first live show. Following the recording of several demos the band released its debut "Deprivasjon Of Frihet" (2012). It was followed by "Krematorium" (full-length, 2013) recorded without temporary suspended Slade. 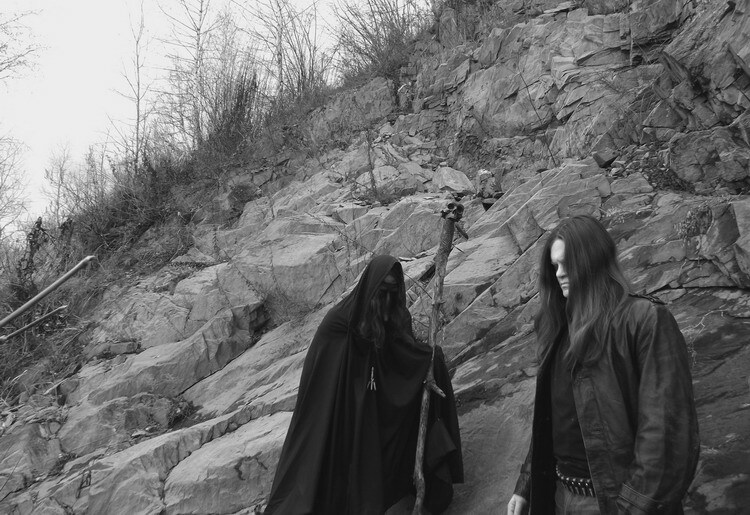 The next year brought two albums: �Altar� (2014) and �Forgotten� (2014) released by Misanthrope Records. �Altar� had been the last album recorded with Slade who later moved to St. Petersburg. In 2015 the band released �Landshaft� MC via NarcolepticaProd. The new album �Morena� (2016) is a joint release of Narcoleptica Prod., Darknagar Records and More Hate Prod. After "Morena" the band releases several works in collaboration with musicians from Australia, Croatia, and South America. "Ivan Grozny" - the full-length album released in the end of 2017- demonstrates finally crystallized authentic concept and musical message of DEVILGROTH-raw, chaotic and atmospheric black metal with lyrics inspired by Russian history. The band wins recognition of listeners, web-zines and honored fellow tradesmen: thus, the works of DEVILGROTH are mentioned by Tobias Möckl, the founder of PAYSAGE d HIVER and DARKSPACE (Switzerland).